I hope you were all able to see Kenzie’s spring birthday party. Every great birthday needs a great thank you card. 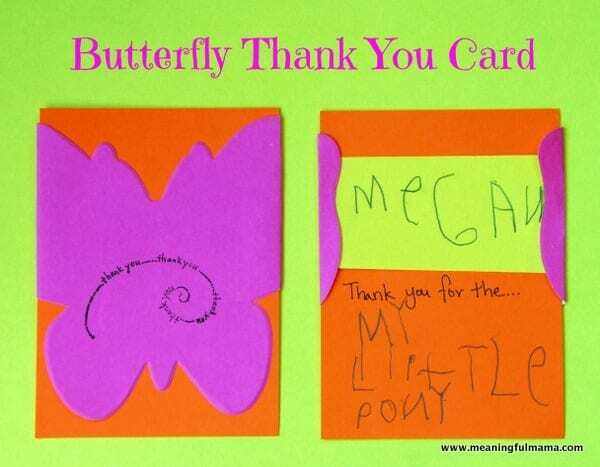 This butterfly card is just the thing. 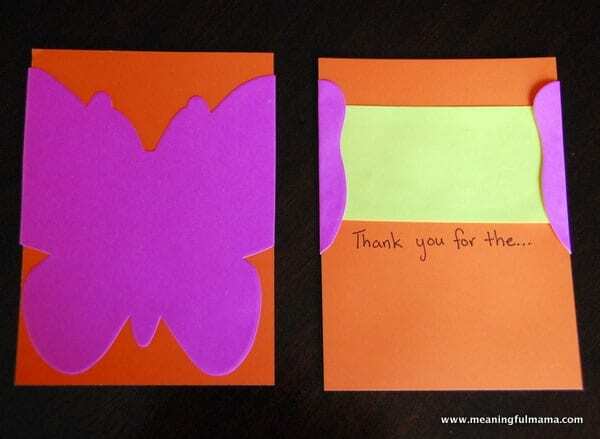 I always want to involve my kids in putting together a fun thank you card. 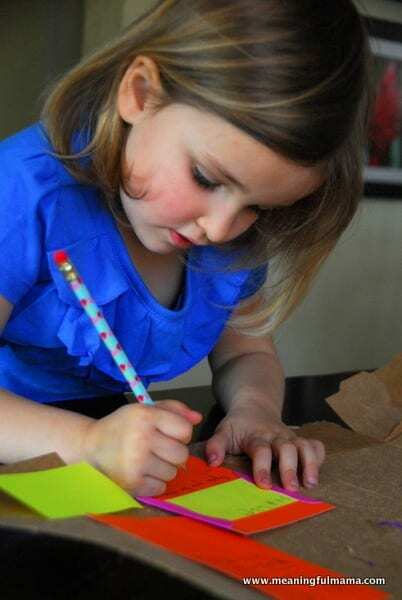 They enjoy creating it, but it also is a labor of thankfulness and love. Do what your kids are able. At 2, I had them scribbling on each one. As they turned a bit older, I had them contribute a bit more depending on their ability. I have to admit that I’m not very good or consistent at writing thank you cards. It often takes me forever to finally get them out to people. Hopefully, I can develop better habits in my kids. Who knows. My mom taught me well, and I still struggle. It is important to have a grateful heart, so I’m trying desperately to be better at it. I found these butterflies at the Dollar Tree. I had purchased them thinking I’d use them for Kenzie’s party, but we never did. When I was trying to decide a design for the thank you cards, I found them and figured they’d be perfect. This is the main concept I was going for on the front and back. I ended up adding a thank you stamp on the front that I borrowed from my mother-in-law, the amazing stamper and card maker. 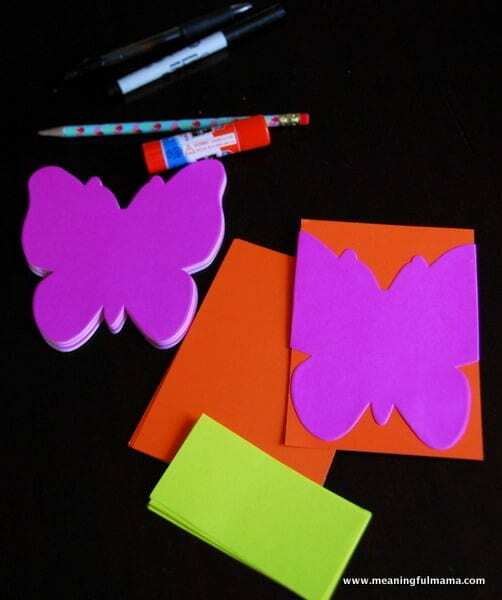 The first step was to glue the butterfly onto the card stock paper I had on hand. 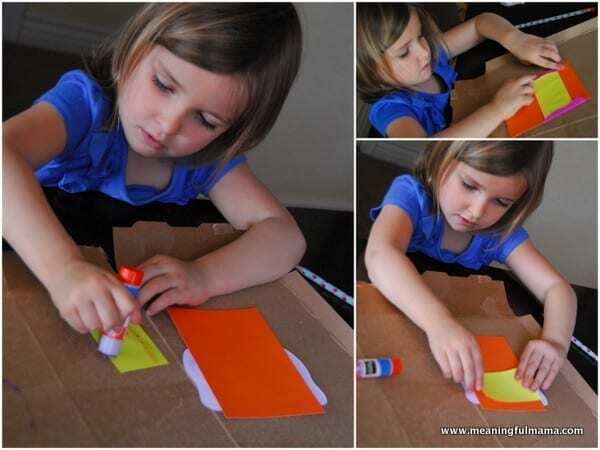 I cut yellow strips of paper 4″x2″ to glue on the back. This is where Kenzie would write the recipients name. 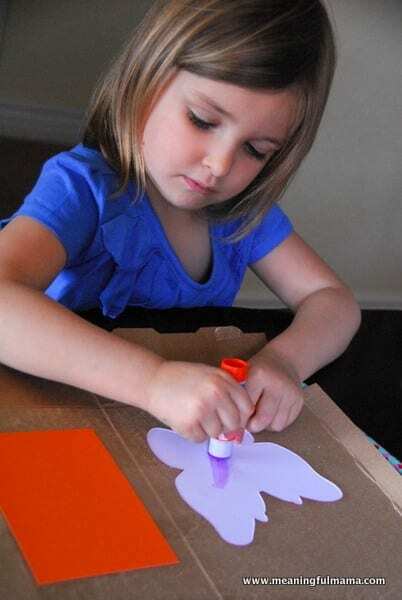 She glued it down and then wrapped the butterfly wing part that flowed over the edges around the paper and down. I wrote out the details for Kenzie, and she was able to write out their name and what was given to her. I did not make her do them all in one sitting. When she ran out of gas, we took a break. We are not 100% done yet, but we’re getting close. 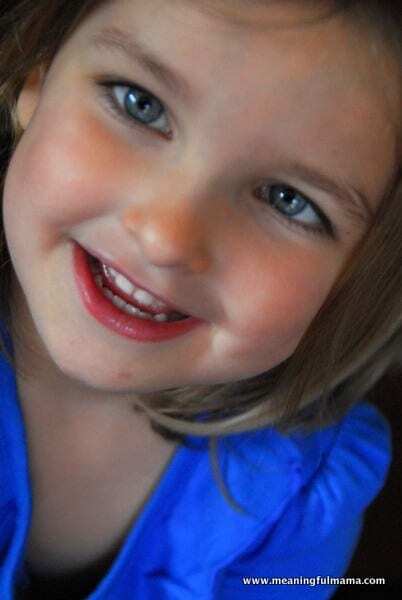 I just had to throw this picture in of Kenzie I snapped today because I absolutely love it. Happy birthday, my sweet 4 year old. I am notoriously late with my thank you cards as well! Those are adorable cards! Thank you so much, Charyse!